The13 Catholic churches that have converted to Sullivan Solar Power are collectively account for 1,209,417-watts of clean energy. The output equates to 906,977 pounds of coal not burned to produce electricity or 95,640 gallons of gas not consumed. “By adopting solar power for our church and school facilities, we are not only being good stewards of what God has given us, but also we are able to spend less money on energy and then direct those savings toward additional services for our parishioners and school members,” said Jim Gase, Plant Manager of St. Michael’s Church in a June 2015 interview about their solar project. 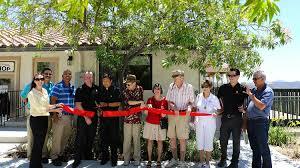 St. Patrick Catholic Parish in North Park has enjoyed savings from their Sullivan Solar Power system but that was not their only motivation to moving to renewable energy. Father Michael McFadden explained the reasoning behind going solar was a three-pronged approach. “One, this is good for the environment - the Pope speaks highly of relating well to the earth, and we are supposed to be good stewards, taking care of it. Second, this saves dollars and promotes efficiency - running a school, as we do, is expensive. This saves money for other church uses. And I believe this sets a good example for the community to embrace the earth,” said Father McFadden. While the United States has pulled out of the Paris Climate Accord, cities, states and organizations across the county are continuing to uphold their commitments to combat climate change. 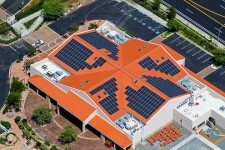 For more information about solar for Catholic churches, visit www.sullivansolarpower.com.